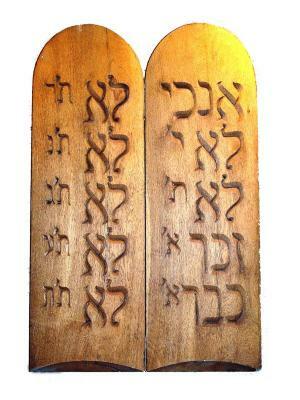 Two heavy oak tablets, convex in shape, joined together in the traditional form of the Decalogue. First word and acronym of each commandment deeply inscribed into the wood. Antiqued gold patina finish.